Individuals, families, churches, and groups fill empty shoeboxes with gifts of toys, school supplies, hygiene items, and notes of encouragement. During National Collection Week, Nov. 17-24, Samaritan’s Purse will collect the gift-filled shoeboxes at more than 4,000 drop-off sites in all 50 states and Puerto Rico. 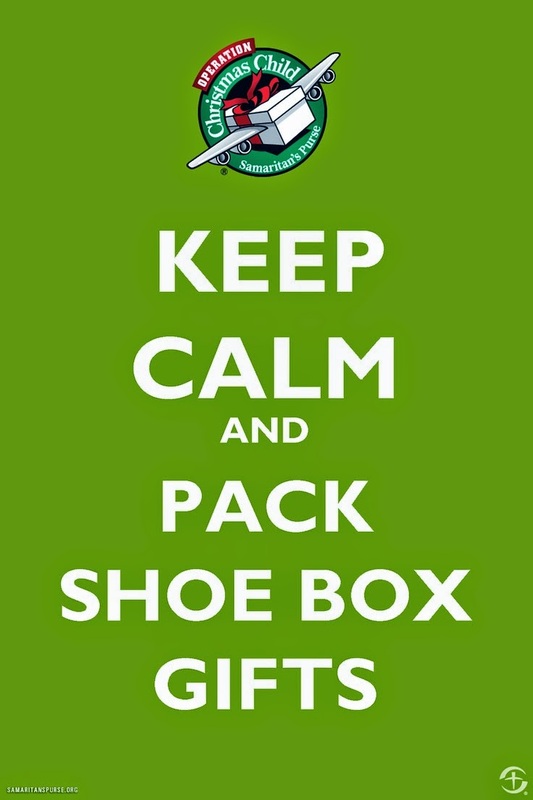 Operation Christmas Child also offers the opportunity year-round to pack personalized shoebox gifts online. 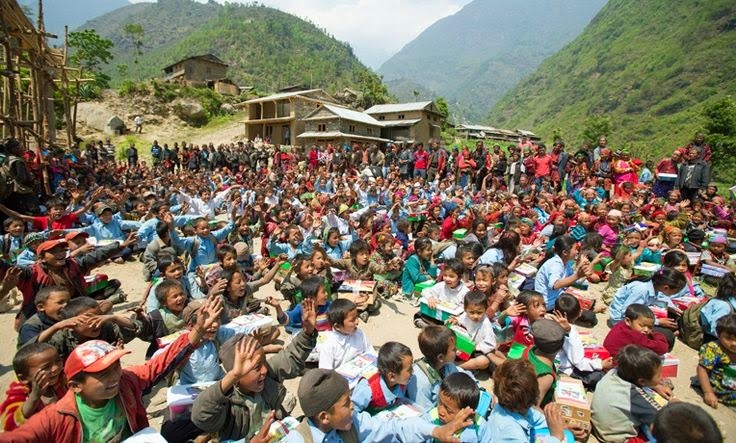 Go to samaritanspurse.org and click on Operation Christmas Child to select toys and gift items, write a note of encouragement, and “pack” them in a shoebox. 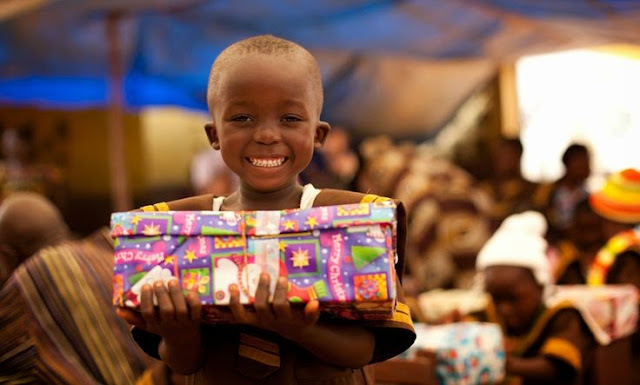 Samaritan’s Purse will deliver the gifts to children in more than 100 countries on six continents. Fill the box with a variety of gifts that will bring delight to a child (see Gift	Suggestions below). Help cover shipping and other costs related to delivering your shoeboxes to children overseas by donating $7 for each gift you prepare. You can give	online to discover the destination of your box. Or, you can write a check to Samaritan’s Purse (note “OCC” on the memo line) and place it in an envelope on top of the items inside your shoebox. If you are preparing multiple gifts, please make one combined donation. Note: Follow Your Box is only available through online giving. Place a rubber band around each closed shoebox and bring it to the drop-off location nearest you during National Collection Week, November 17–24, 2014. Visit our Drop-off	Locations page to find the closest collection site. Or, call 1-800-353-5949.